Java is so common, you probably don’t even realize when you’re using it. We use this language to watch videos, interact with websites, and listen to music on the web. On the computer, programs such as Open Office use this language. Databases, such as MySQL and Oracle also use some Java applications. Clearly, many systems use it; this is because you can compile the source program (where you write the code) into a byte-code. 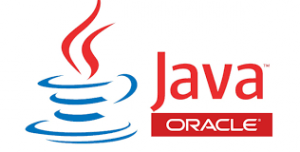 Java Virtual Machines can run byte-codes anywhere in a network. The virtual machine comes with the download of Java Runtime Environment, which you need to use the language on your computer. Therefore, you can run this machine across platforms. To be simple, object-oriented, and familiar. To execute with high performance. There have been many updates, and new versions of this language have been released throughout the years. The most recent release was in 2014, the 8th version. Currently the 9th version is under development. If you want to learn an important programming language, we recommend Java. It’s a little bit easier to learn than C++, but will still take time and effort to master. « Brutalist Websites: The Latest Design Trend	» What is Object-Oriented Programming?